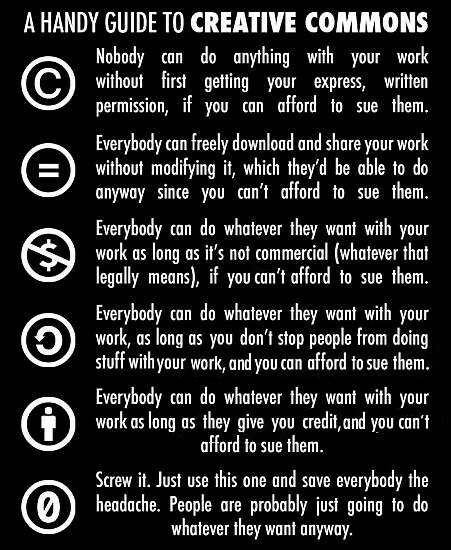 About media files listed under the Creative Commons licenses. For those of you unfamiliar with the concept, these are files you can use in the creation of web sites and other media, free of charge. However, do be mindful that there are different degrees of the license, and some of them are for private use only. Make sure to read and understand the various licenses. cctrax makes it easy to find all this license info. Each release is tagged with it's according license. Furthernore you can use the license search. If you intend using certain tracks you've found commercially or for video, your options are limited. Not complying with the licensing conditions can lead to the removal of your work, or worse, legal action can be taken. Better check out the kind of license before you embed and upload! The only licenses that comply with YouTube terms are CC-BY or Royalty Free (RF). YouTube tries to monetize all content, so you must publish your video under CC-BY (or the YouTube license), which renders the use of music published under other CC-licenses useless/illegal. Every album page on this site shows the release license. Song pages will show the attribution if YouTube embedding is granted. Just copy & paste. CC-BY-SA - as long as you publish your video also under CC-BY-SA you are fine too. CC BY-NC-SA - as long as you don't run ads and you publish your video also under CC-BY-NC-SA, you are good. If you choose a CC-BY-NC (No Commercial) licensed track you can't use it commercially. If you have any kind of advertisement running on your video - this is already considered as commercial use. You must purchase a Commercial Use License. If you choose a CC-BY-ND (No Derivates) licensed track, you can't use it for video. Because 'if you build upon the material, you may not distribute the modified material'. This is a tricky one. an Adaptation for the purpose of this License." If you still want this track, you must purchase a Commercial Use License. If you need to purchase a license, it's again easy. Each release has a link to either the artist's page or, most common, to the label's page. Contact them, they'll be happy to help. cctrax does not do license deals, but In case you need assistance, feel free to contact me. This license lets distribute, remix, tweak, and build upon artist's work, even commercially, as long as the original creation is credited. This is the most accommodating of licenses offered. Recommended for maximum dissemination and use of licensed materials. This license lets others remix, tweak, and build upon your work even for commercial purposes, as long as they credit the artist and license their new creations under the identical terms. 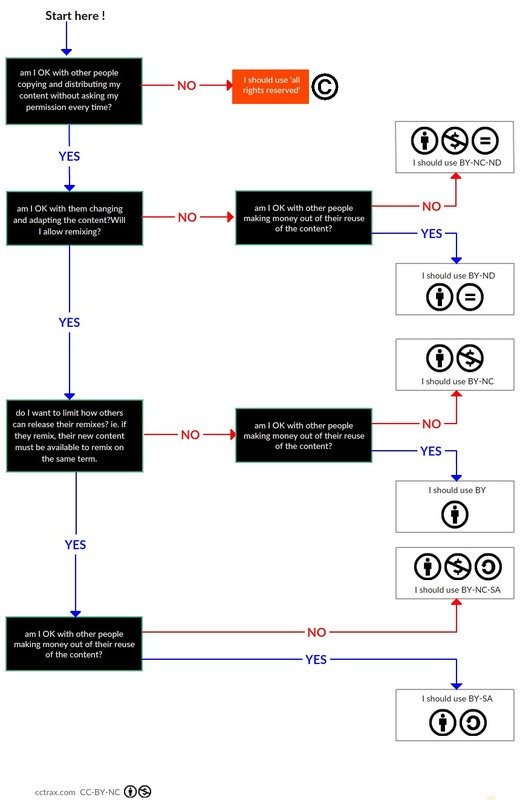 This license is often compared to “copyleft” free and open source software licenses. All new works will carry the same license, so any derivatives will also allow commercial use. This is the license used by Wikipedia, and is recommended for materials that would benefit from incorporating content from Wikipedia and similarly licensed projects. This license allows for redistribution, commercial and non-commercial, as long as it is passed along unchanged and in whole, with credit to the artist. If you remix, transform, or build upon the material, you may not distribute the modified material. This license lets others remix, tweak, and build upon artist's work non-commercially, and although their new works must also acknowledge the artist and be non-commercial, they don’t have to license their derivative works on the same terms. This type of license can be purchased to use any of the songs without attribution (no credit given). This license lets others remix, tweak, and build upon artist's work non-commercially, as long as they credit the artist and license their new creations under the identical terms. An artist allows others to distribute derivative works only under a license identical to the license. This license is the most restrictive, only allowing to download and share works with others as long as they credit the owner, you can’t change works in any way or use them commercially.